Here are the posts that contain non-essential info only – opinions, thoughts, inspirations, experiences. In short, anything I have the urge to write about that strikes my fancy. Looking for news and updates from the author? Look up, click on News & Blog, and choose “Just News”. When I decided in January to leave KindleUnlimited, it was a difficult choice. I’m profoundly introverted, and I think rather slowly about the most significant decisions. Besides, I have a fierce loyalty toward those I feel an obligation to. All of those things made booking out of the Amazon-exclusive machine a tense, nerve-wracking decision. The math, though, didn’t work. I wish it had because being Amazon-exclusive was undoubtedly easier in many ways. It felt like a New Moon in a lot of ways. Previously, I wrote a post about why I decided to pull my books from KindleUnlimited so I could go wide. I’m in a genre author’s group on Facebook and some folks have been interested in the experience, but it’s kind of hard to get across everything in a Facebook post so I thought I’d pull one together here. An Author that used to oversee DMCA compliance at a web host weighs in on ebook piracy. Last week the writing community exploded with fury over a pirate ebook site. It’s one of many, to be sure, and how this book site became the source of such anger and consternation after years serving free pirated content to the masses is not clear. What is clear is that this caused deep emotional turmoil for many independent writers. They vented much rage on various social media sites. Much rage. Super lots of rage. I am not writing this post to add to the vitriol. Continue reading…An Author that used to oversee DMCA compliance at a web host weighs in on ebook piracy. “Is your protagonist an idiot?” Writing Charlotte’s journey in a feminist era. There have been a few critical reviews of Witchiest Circus on Earth that specifically call out the fact that Charlotte acts like a child even though she’s thirtysomething. I understand the criticism and thought I’d address some of it for International Women’s Day today. Continue reading…“Is your protagonist an idiot?” Writing Charlotte’s journey in a feminist era. Okay, it’s not that I hate marketing. I mean, I sell stuff, so I can’t hate marketing. Marketing lets me write books and then find people that want to read them. So it’s not fair for me to hate marketing. Yeah, okay, I hate marketing. Want to get books for 99¢? 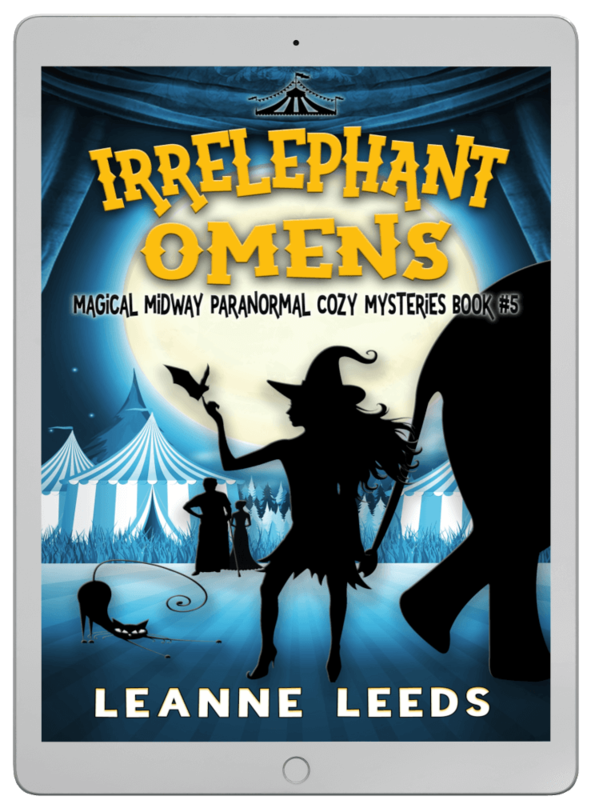 Join Leanne's newsletter for free stories, 99¢ preorder notifications, and more!